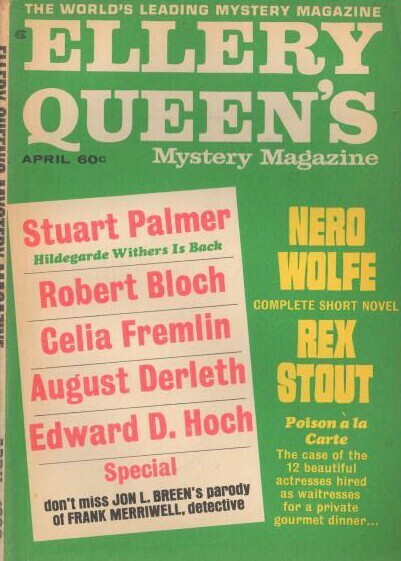 84 · Elroy Quinns Last Case · Dennis M. Dubin · ss [Ellery Queen]; in EQMMs Department of First Stories. 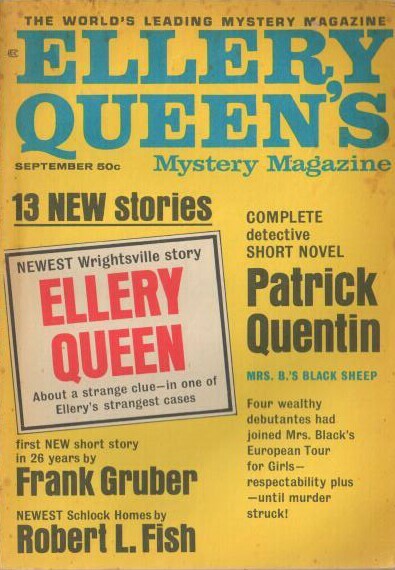 Pastiche of Ellery Queen. 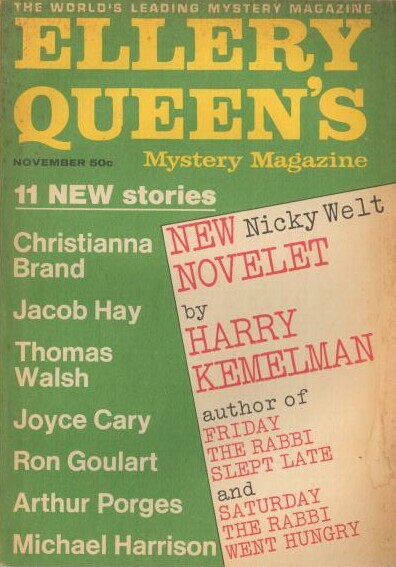 99 · The Tigers Cub · Shirley Wallace · ss; in EQMMs Department of First Stories. 67 · Mr. Copable, Criminologist · Amy M. Graingerhall · ss [Margery Allingham]; anagrammatic pastiche of Margery Allinghams Albert Campion. 78 · George Washington, Detective · Steven Peters · ss; in EQMMs Department of First Stories. 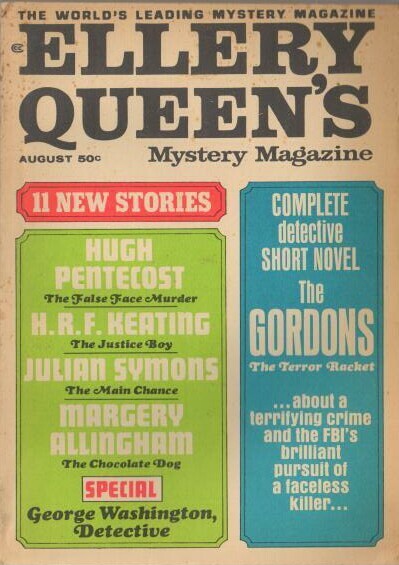 96 · The Woman Who Couldnt Wear Red · Patricia Ann Hollister · nv; in EQMMs Department of First Stories. 88 · The Washing Machine · Rev. 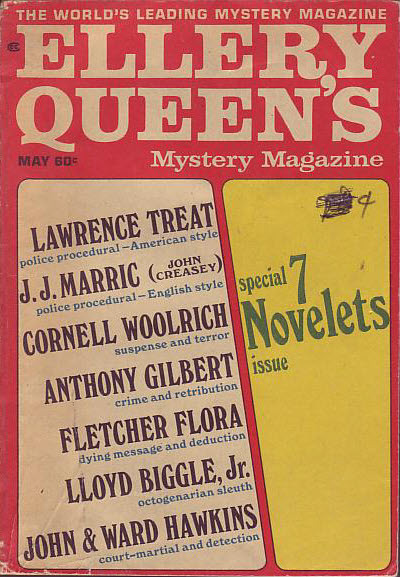 Norman E. Douglas · ss; in EQMMs Department of First Stories. 92 · They Said It Couldnt Be Done · John Pick · nv; in EQMMs Department of First Stories. 80 · The Classic Semerák Case [Lt. Boruvka] · Josef Skvorecký; translated by Káča Poláčková · ss; translated from the Czech (Smutek Porucika Boruvky, Prague, 1966). 99 · The Inspector Maigret Pursues [Insp. Jules Maigret] · Georges Simenon; translated by J. E. Malcolm · ss Argosy (UK) Jan 1962, as The Man on the Run; translated from the French (Lhomme dans la rue, Les Petits Cochons sans Queue, Presse de la Cite, 1955). 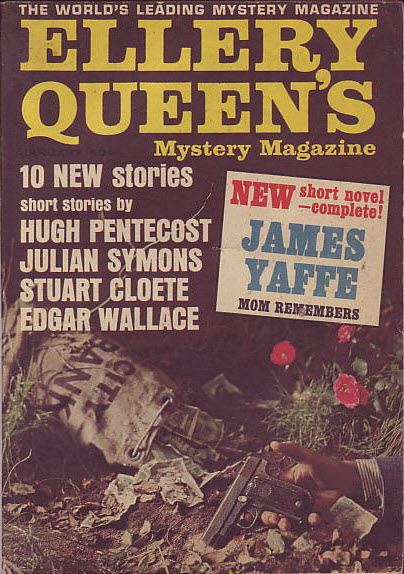 67 · The Polite Mr. Payne · G. R. Spencer · ss; in EQMMs Department of First Stories. 89 · Rink: a 1001st Precinct Mystery · Ron Goulart · ss [Ed McBain]; a parody of Ed McBains 87th Precinct. 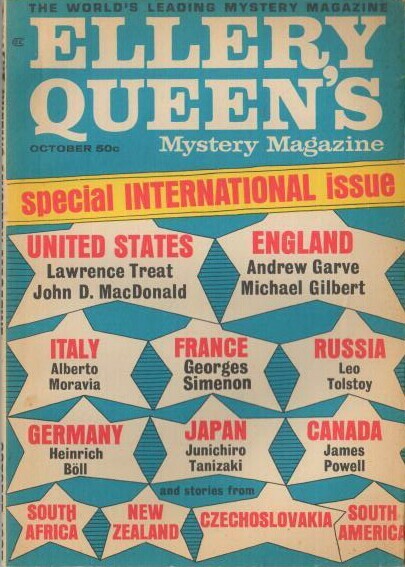 95 · Uncle from Australia [Ellery Queen] · Ellery Queen · ss The Diners Club Magazine Jun 1965; given as Last Word Dept. : Uncle from Australia on the story itself. 111 · Number One · John Holt · ss; in EQMMs Department of First Stories. 58 · The Burning of a Witch · Eve Christmas · ss; in EQMMs Department of First Stories. 64 · The Promise of His Coming · Mel D. Ames · vi; in EQMMs Department of First Stories. 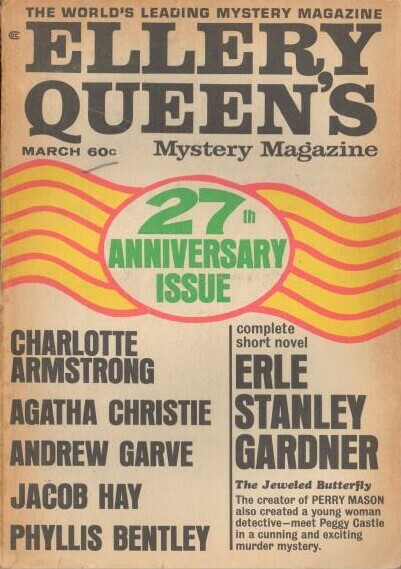 27th Anniversary Issue Details supplied by Douglas Greene. 99 · Letter from Mindoro [Prof. Ponsonby] · Alan K. Young · ss; in EQMMs Department of First Stories. 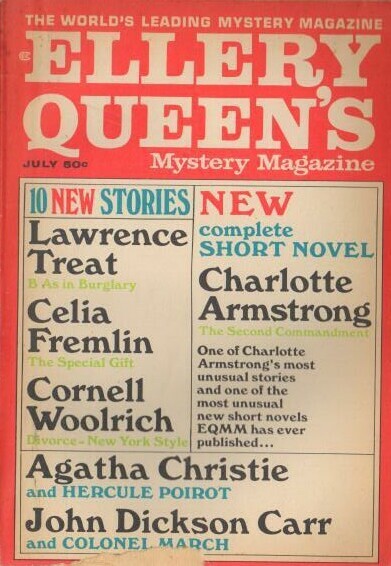 60 · From the Fear of Our Enemies · Charlene M. Weir · ss; in EQMMs Department of First Stories. 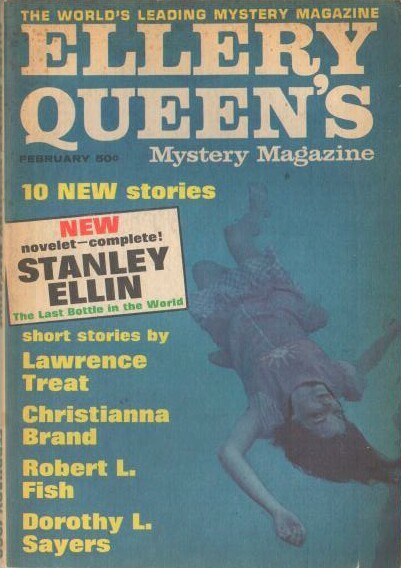 125 · Frank Merriswells Greatest Case; or, The Daring One-Hander · Jon L. Breen · ss [Burt L. Standish]; parody/pastiche of Burt L. Standishs Frank Merriwell. 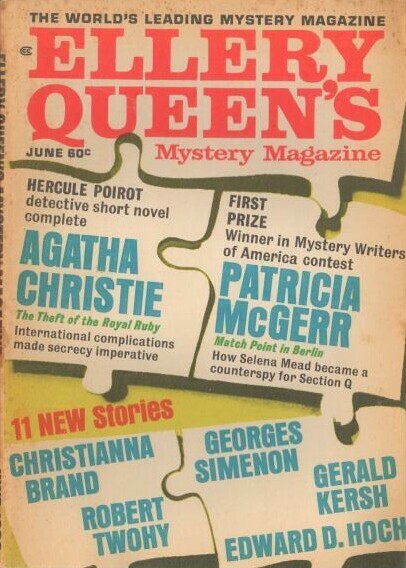 6 · Match Point in Berlin [Selena Mead] · Patricia McGerr · nv; first Prize Winner in the Special Mystery Writers of America Contest sponsored by EQMM. 28 · Inspector Maigret Investigates [Insp. Jules Maigret] · Georges Simenon; translated by J. E. Malcolm · ss Argosy (UK) Feb 1962, as Rue Pigalle; translated from the French (Rue Pigalle, Paris-Soir-Dimanche, November 29, 1936). 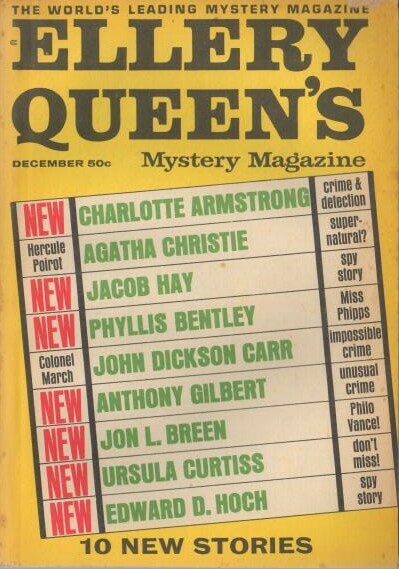 36 · The Theft of the Royal Ruby [Hercule Poirot] · Agatha Christie · nv Womens Illustrated Dec 24 1960 (+2); revised from Christmas Adventure (The Sketch, December 12, 1923).